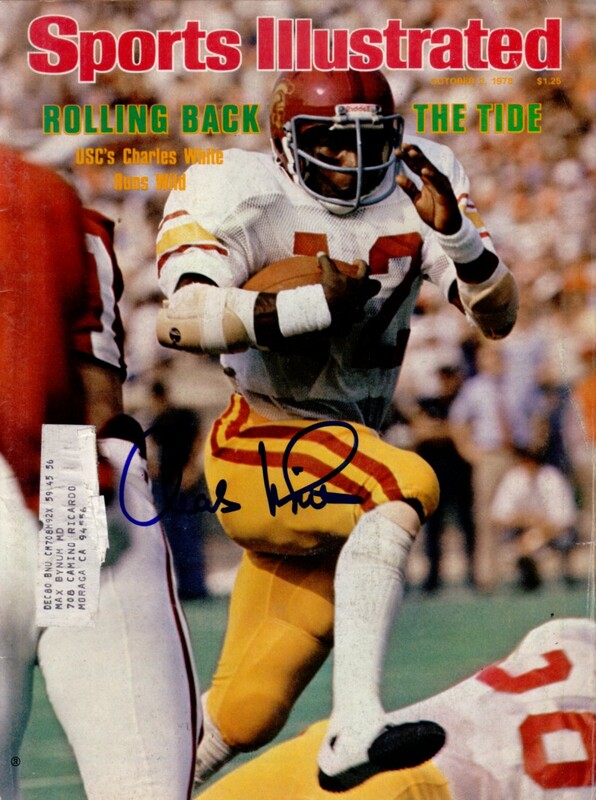 Complete 1978 Sports Illustrated autographed on the cover in blue marker by USC Trojans Heisman Trophy winner Charles White. 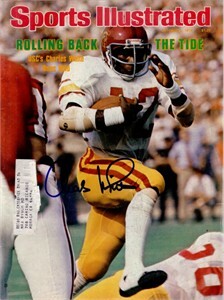 Has subscription label and minor flaws and wear. With certificate of authenticity from AutographsForSale.com. ONLY ONE AVAILABLE FOR SALE.